The MAGMA was born from the desire to tell the technological, artistic and human history of the steelworks of Follonica at the height of its production. The new interactive and multimedia exhibition space brings life back to the old furnace with a captivating experience that unfolds over three main sections, corresponding to the three floors of the building, entitled Art, History and Production. Within these themes, each room explores a topic closely related to the production of cast iron, not only locally, but in Europe and elsewhere. Educational activities and school visits can be arranged by reservation. 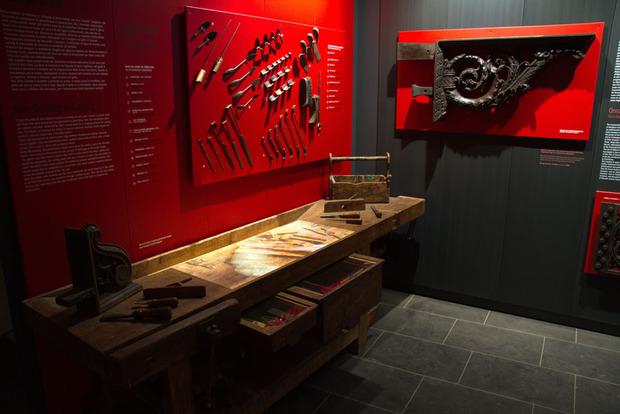 The Museum runs educational activities for local schools and the general public, organises exhibitions and offers workshops on the art of casting iron. It also promotes cultural activities and excursions aimed at widening knowledge of the history and nature of the local area. 16 June - 15 September: 17.30-23.30; 16 September - 15 June: 15.30-19.00. Visitors are advised to contact the museum for information on opening times, which may change for specific events.